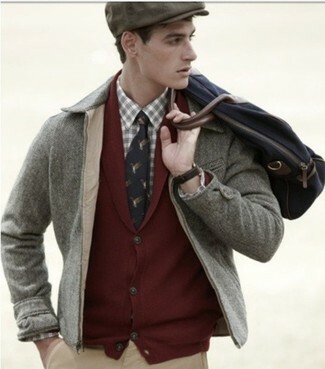 If you're hunting for a casual yet dapper ensemble, rock a grey barn jacket with khaki chinos. Both pieces are totally comfortable and will look great together. 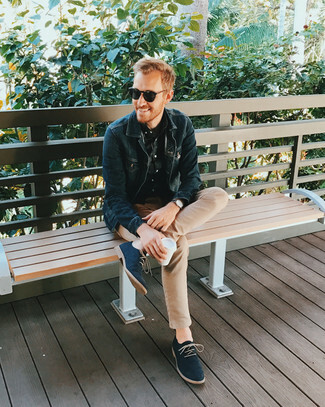 If you're after a casual yet on-trend look, marry a navy denim jacket with khaki chinos. Both pieces are totally comfortable and will look great together. Got bored with this getup? Enter navy suede derby shoes to jazz things up. 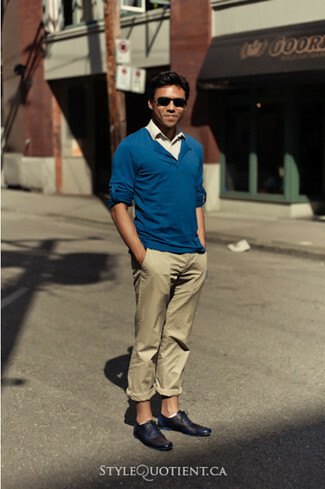 If you're in search of a casual yet on-trend look, consider wearing a blue v-neck sweater and Incotex classic chinos. Both pieces are totally comfortable and will look great together. Grab a pair of black leather oxford shoes for a masculine aesthetic. 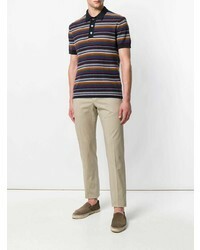 If you're on the lookout for a casual yet on-trend ensemble, pair a navy and white horizontal striped crew-neck t-shirt with Incotex classic chinos. Both items are totally comfortable and will look great paired together. 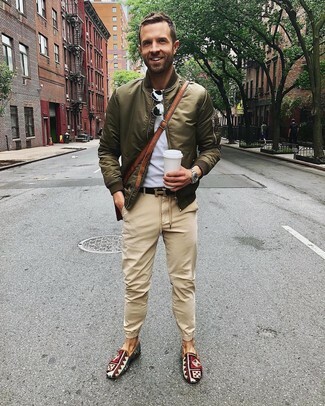 This combo of an olive bomber jacket and khaki chinos is well-executed and yet it's casual and ready for anything. If not sure as to what to wear when it comes to shoes, complete your look with a pair of multi colored print canvas slip-on sneakers. 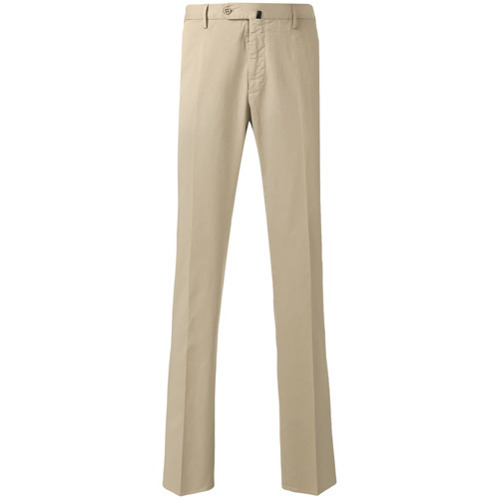 This pairing of a blue denim shirt and Incotex classic chinos is simple, seriously stylish and very easy to replicate. 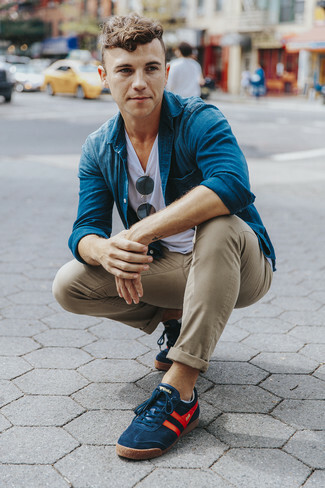 When it comes to footwear, this getup pairs nicely with navy low top sneakers. 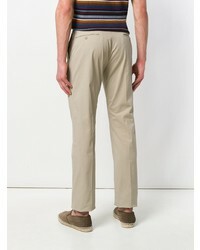 If you're searching for a casual yet dapper ensemble, wear a navy cardigan with Incotex classic chinos from farfetch.com. Both pieces are totally comfortable and will look great together. 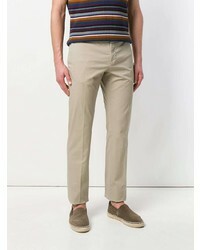 If you're searching for a casual yet seriously stylish outfit, choose a white long sleeve shirt and Incotex classic chinos from farfetch.com. Both pieces are totally comfortable and will look great paired together. Kick up the cool of your ensemble by complementing it with dark brown suede oxford shoes. 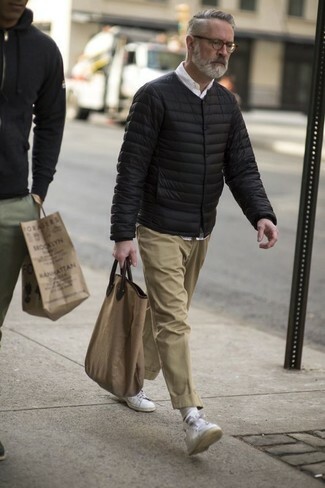 If you're searching for a casual yet dapper look, go for a black quilted bomber jacket and Incotex classic chinos. Both garments are totally comfortable and will look great together. White canvas low top sneakers complement this ensemble quite well.